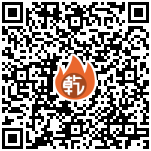 "部署环境：win10+tomcat8+jdk1.7+oracle11g 1. 在设计器安装目录（…report\web\webapps\）下获取 demo 应用包； 2. 将 1 中的应用包放 .."